Torture has a bad name among the police and security agencies of most countries. Thus torture is usually called by other names. Even violent husbands do not admit to torturing their wives. 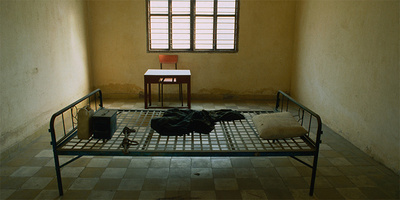 Thus, when NGO representatives started to raise the issue of torture in the UN Commission on Human Rights in Geneva in the early 1980s, the government representatives replied that it was a very rare practice, limited to a small number of countries and sometimes a “rogue” policeman or prison guard. However, NGO representatives insisted that, in fact, it was widely used by a large number of countries including those that had democratic forms of government. Getting torture to be recognized as a real problem and then having the Commission on Human Rights create the post of Special Rapporeteur on Torture owes much to the persistent efforts of Sean MacBride (1904-1988), at the time the former chairman of the Amnesty International Executive Committee (1961-1974) and a Nobel Peace Prize laureate (1974). MacBride had been the Foreign Minister of Ireland (1948-1951) and knew how governments work. He had earlier been a long-time leader of the Irish Republican Army (IRA), being the son of John MacBride, an executed leader of the 1916 Easter Rising – an attack on the Dublin Post Office. With his death John MacBride became an Irish hero of resistance. Later Sean had spent time in prison accused of murder. He told me that he had never killed anyone but as the IRA Director of Intelligence he was held responsible for the murders carried out by men under his command. Later, he also worked against the death penalty. As examples of the current use of torture kept being presented by NGO representatives and as some victims of torture came to Geneva to testify, the Commission on Human Rights named a Special Rapporteur and also started to work on what became the Convention against Torture and Other Cruel, Inhuman or Degrading Treatment or Punishment. The Treaty came into effect on 26 June 1987 and in 1997 the UN General Assembly designated 26 June as the International Day in Support of Victims of Torture. Human Rights treaties negotiated within the UN create what are known as “Treaty Bodies” ­ a group of persons who are considered to be “independent experts”. As the saying around Geneva goes, “some are more 'expert' than others, and some are more 'independent' than others. Countries which have ratified a human rights convention should make a report every four or five years to the specific Treaty Body. For the Torture Treaty, it is every four years to the 10-person expert group. Many States are late, some very late, in meeting this obligation. There are 158 States which have ratified the Torture Convention but some 28 States have never bothered to file a report. States which have not ratified the treaty do not make reports. Unfortunately, the Convention is binding only on States. However, increasingly non-governmental armed militias such as ISIS in Syria and Iraq carry out torture in a systematic way. The militia's actions can be mentioned but not examined by the Treaty Body.